Produced by Flytime TV productions, 3LiveChicks, the cutting edge 30 minute programme, returns for another exciting season, as the ladies bring their unique perspective to interviews with their vibrant personalities and charisma. Each show will still be shot at different locations each week and most certainly, the ladies will deliver even more entertainment like never before. 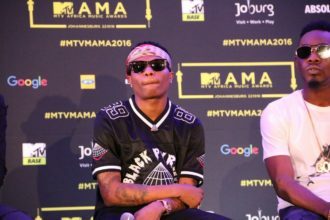 Some of the interviews to look out for this season include Wizkid, Seyi Shay and the late great Goldie amongst many others. This second season premieres this Friday, March 1st, 2013 and will air on Silverbird Television every Friday from 8pm WAT. The show promises to deliver the best of fun, wit, entertainment and honesty to viewers weekly.